With passion, competence and more than 15 years of experience we provide market research for your success! I+E Research offers a broad range of services and has specialised in the organisation and implementation of nationwide market research projects. With our recruiting departments Healthcare and Trendresearch we are from the beginning of the planning phase of your project at your disposal to provide you with a realistic assessment of the markets. Be it health care or trend research studies, complex workshops or ethno­graphic interviews, our moderators possess the necessary expertise in all current methods and interview techniques. The network of our team includes professional translators and certified interpreters, which translate your material from English into German and/or vice versa. I+E RESEARCH GmbH’s story starts in 1994, when Barbara Götz started up in Berlin-Kreuzberg as head of a successful fieldwork agency, quickly acquiring a reputation for high competence in the following five years. This success and growing professional competence lead to the founding her own studio in the centre of West Berlin in 1999. Barbara Goetz and the Interview and Exploration julia otte GmbH merged into the joint I+E Interview und Exploration Berlin GmbH. 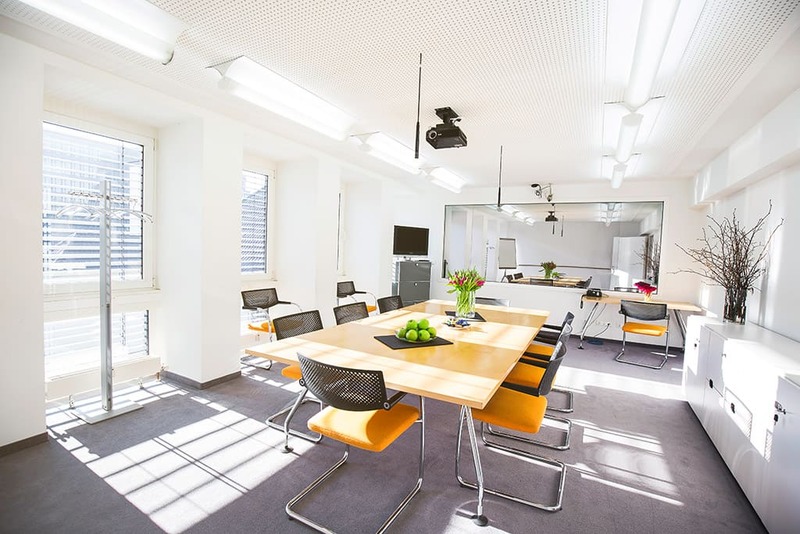 I+E RESEARCHs studios are located in the heart of Berlin, right on historic Potsdamer Platz. Fifteen years after its official opening, Potsdamer Platz showcases one of the most prominent urban developments in Europe, attracting more than 100,000 visitors daily. Our guests enjoy light-filled, generous facilities, exacting service with a choice of catering on demand. And should you wish to enjoy occasional down-times, countless tourist attractions and shopping opportunities are only a few steps away. 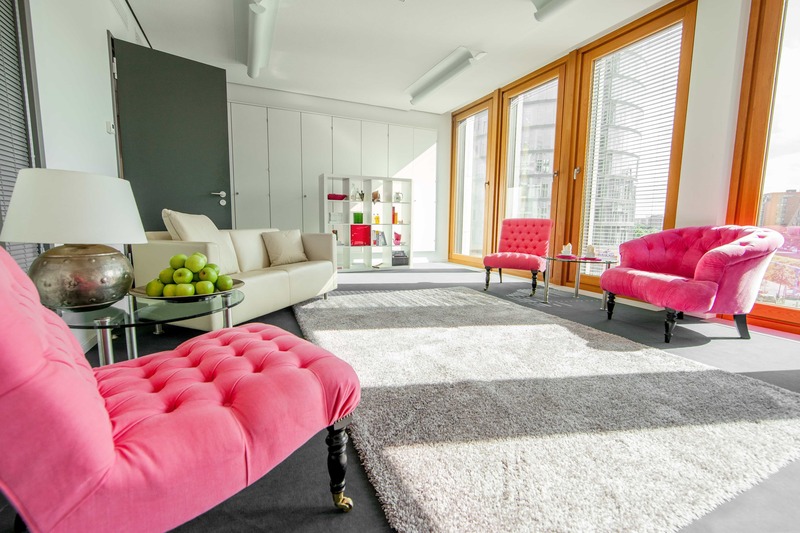 Same as our Berlin-based headquarters, I+E Studio Düsseldorf offers light and generous spaces as well as the excellent service you are used to. The 350-sqm studio is equipped with up-to-date technology and provides all the convenience that will make you and your clients feel comfortable during a long central location day. Located close to the major cities of the Ruhr region, Düsseldorf has a large catchment area. Within the metropolitan region surrounding the capital of North Rhine-Westphalia, several university hospitals as well as numerous specialized centers and medical practices can be found on a relatively small area. Same as in Berlin, this allows for the recruitment of study participants from a number of highly qualified individuals. I+E Research - Your partner for market research! Let us consult you. We will prepare an offer for you without obligation.